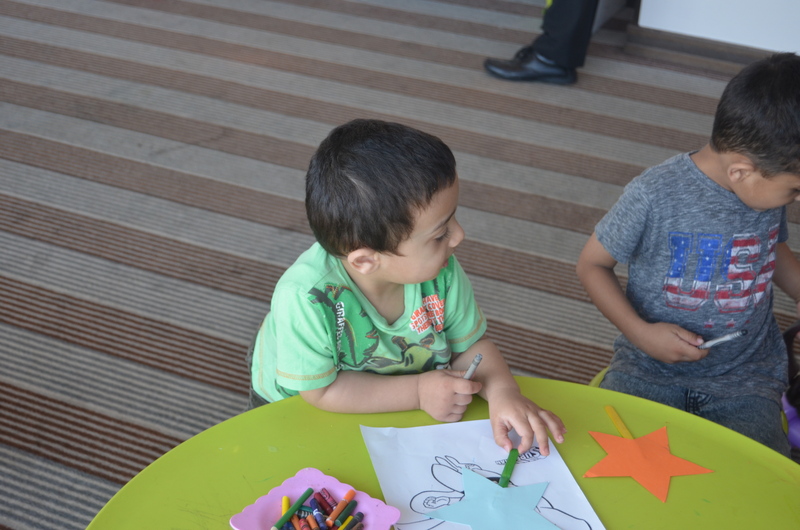 Comments Off on Holiday Inn Abu Dhabi Brunch! 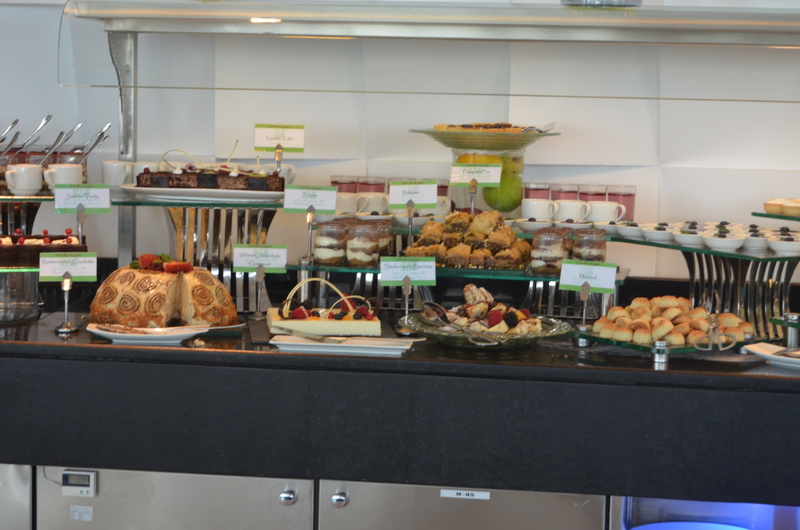 Holiday Inn Abu Dhabi Brunch! We like to give our readers a variety of reviews and places to explore so this weekend we are in Abu Dhabi! We decided to grab a new years brunch at the Holiday Inn by airport road! The area is quiet and out the way, away from the busy city with lots of space for parking and friendly staff! 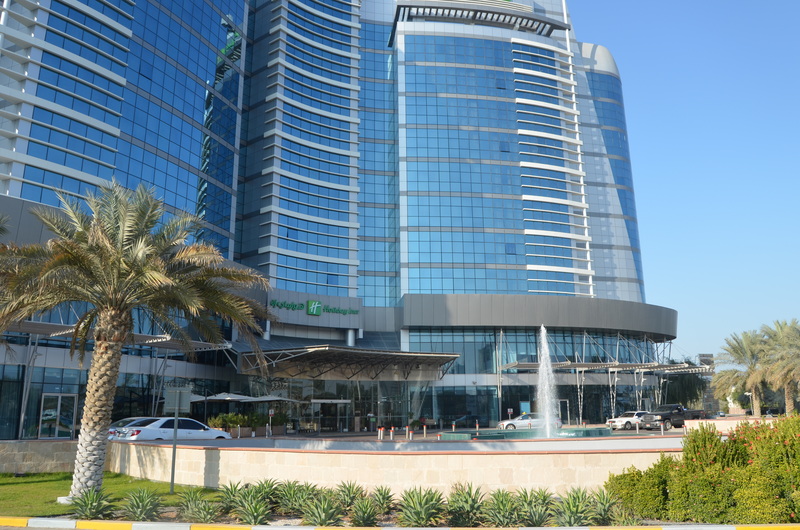 The hotel was fairly easy to find and about 15-20mins away from our base (Al Reem island). 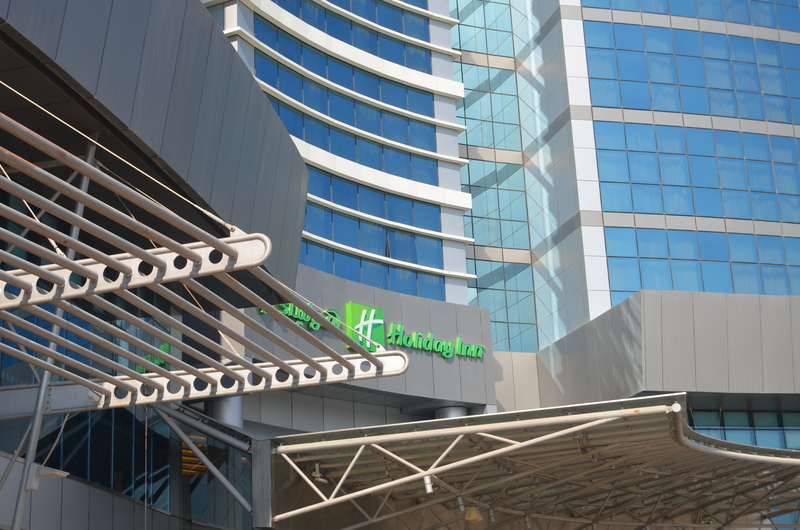 Whether it’s a bubbly environment or an intimate time with some friends or family, the Holiday Inn offers a range of different feelings all in one place! It has those cozy little tables for two and the long tables for those big gathering brunches or the round tables for a little family brunch! 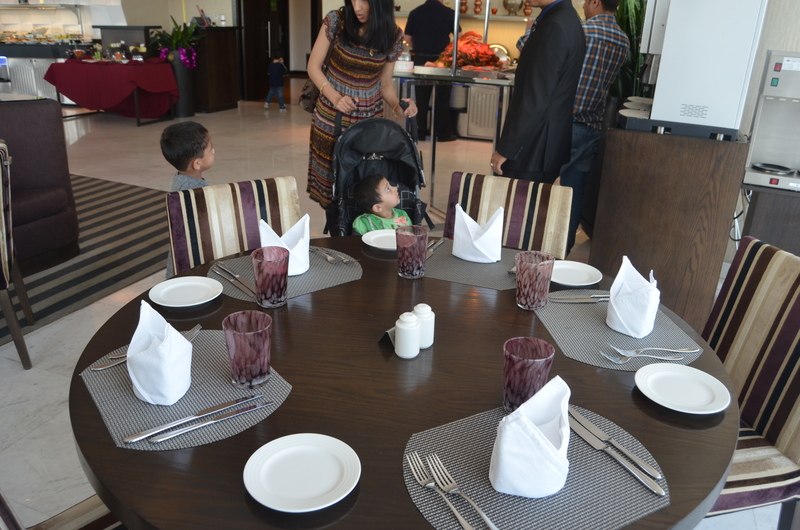 You can ensure everything from a child-friendly brunch to a fresh and delightful restaurant with yummy food! Upon arrival, we were greeted with warm smiles and the festiveness of Christmas was still lingering with a Christmas tree and polar bears and festive decor. 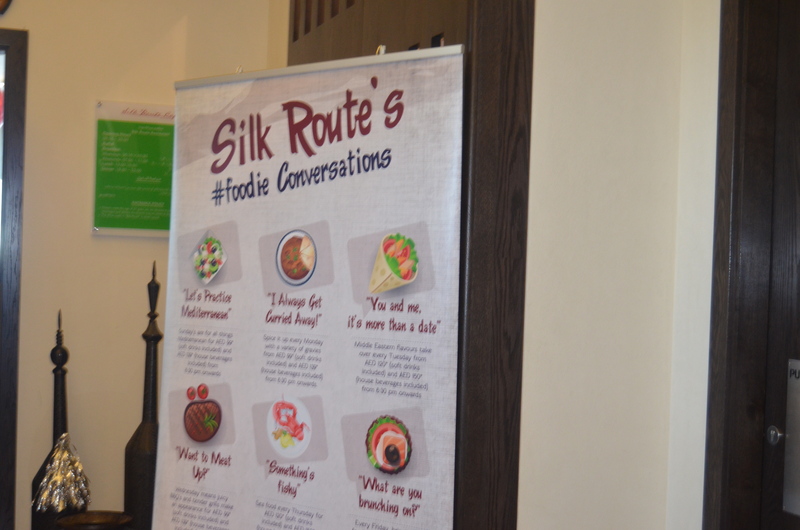 The brunch buffet was on the first floor in the “Silk Route’s” Restaurant. Again, the staff were heart warming and friendly, very attentive and responsive. There was a children’s room with children’s food and a clown, coloring facilities and a television playing children’s channels. This was just next to the restaurant so the children aren’t too far but well looked after, a very child-friendly idea for this family friendly city! 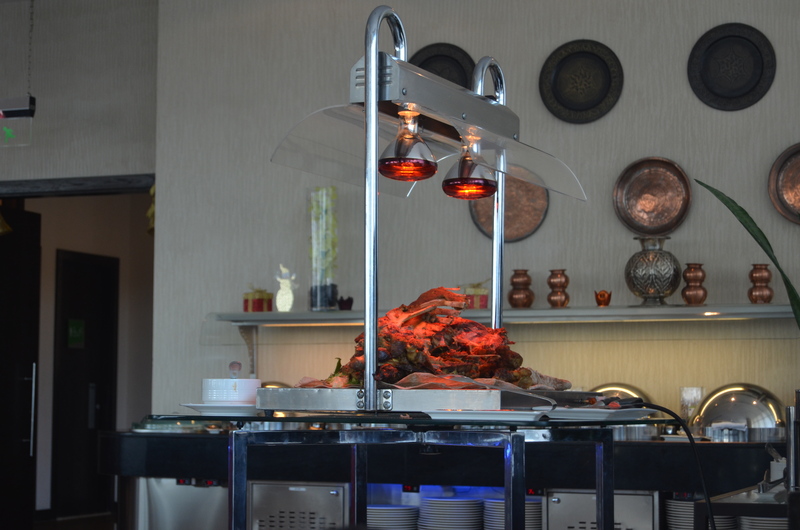 The buffet had everything from fresh salad, sushi, salmon, the traditional Arabic tabouleh, a selection of cheese and crackers, to grilled seafood, grilled meat, gnocchi pasta, soup, rice, and much much more! Although some of the lamb tikka had gone a bit cold, the staff were quick to respond and brought us some warm lamb right away! The juices were fresh and refreshing and the deserts were MOUTH WATERING. It was divine! The wide range of sushi was a great touch, the roasted lamb was out for you to cut off or request your favorite part! The icing on our cake was the “Mocha Creme Brulee”, there were other tortes, ice cream and a chocolate fountain with a wife variety of dipping options; from fruit to marshmallows! Overall, the staff all deserve A*s and the food was on par, the environment suited many needs and we would recommend this for those lazy bruncheons! We all walked out full to the rim and smiling from cheek to cheek! A short Portuguese affair; Lisbon and Love! Comments Off on November is nearly here! Comments Off on Must try food places in Dubai! Must try food places in Dubai! Comments Off on Gargash Enterprises eyeing higher SUV sales with the launch of the 7 seat SUV: The All New GLS.